X Infotech, in collaboration with SEB bank delivered and implemented a secure and reliable solution comprising Jelgava’s student card personalization, application development and contactless payment infrastructure implementation in public transport for contactless cards acceptance. 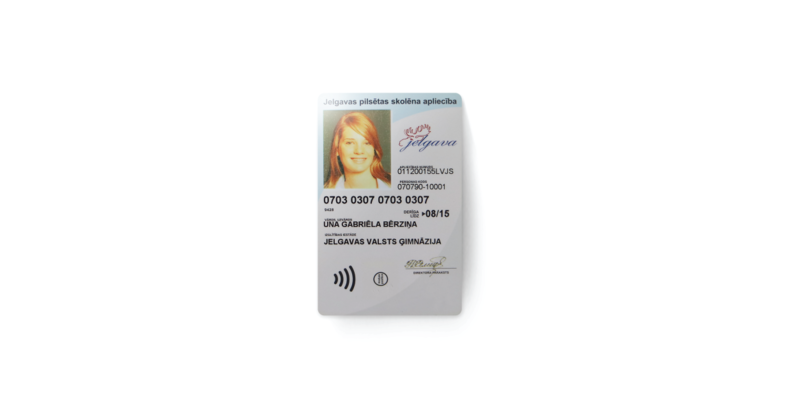 Jelgava scholar card is the first payment card in the Baltic States ensuring payments through contactless POS terminals. Jelgava City Council and SEB banka. Personalization solution for scholar cards which securely stores students’ travel information. Deployment of contactless infrastructure in public transport for student ID card acceptance. Development of additional card applications such as off-line application for payments in public transport, on-line application for payments in school canteens and an access application for monitoring school attendance. Implement a multifunctional identification document for scholars. Bring greater protection for scholars with electronic ID cards. All-in-one scholar card, which combines payment, identification and access control functions. Jelgava City Council offers a variety of benefits for the holders of scholar eID cards such reimbursement of transport expenses or a payment tool in cafeterias. Jelgava City Council plans to issue 80 000 eID cards in a timeframe of five years.